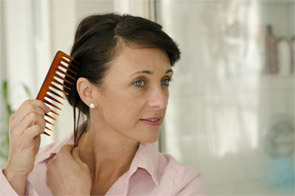 Hair loss can be traumatic for everyone. But for women with alopecia, hair loss can be especially alarming. It can be difficult to know what to do to slow down thinning hair. Historically, hair loss solutions and hair loss research has been male-focused, so women may not be familiar with androgenetic alopecia and hair regrowth programs. In fact, dermatologists and trichologists identify 6 types of alopecia hair loss in women. In women, androgenetic alopecia, which is hereditary hair loss – sometimes called female pattern baldness – causes thinning hair all over the crown. For women with androgenetic alopecia, if there are hair follicles that have not produced hair in 2-7 years or more, a topical drug such as minoxidil for women may be required for hair regrowth. With androgenetic alopecia in women, it is important to face the problem immediately and take action to slow down thinning hair at the first signs of excess hair shedding and hair loss. Prevention is the key. Before your hair loss is so advanced that you have to resort to treatment with a drug, prevent thinning hair with a clinically proven hair vitamin supplement formulated especially for women. Hair growth vitamins change hair follicles by actually increasing the diameter of hair strands and increasing the number of hairs. 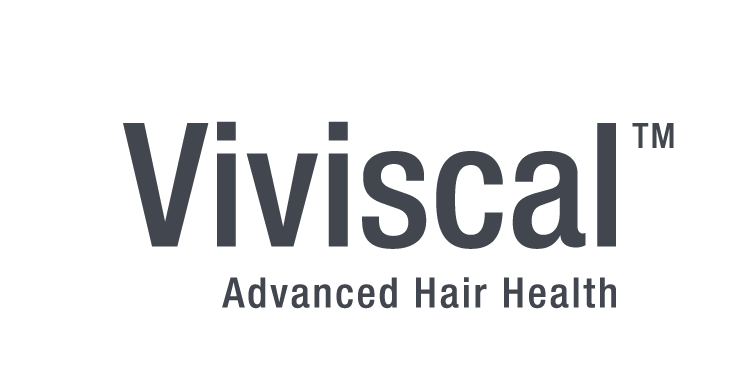 Hair growth supplements such as Viviscal Extra Strength work by increasing the length of the hair growth cycle. Which hair growth solution should you choose? Hair growth supplements are best for women with thinning hair who want 100% drug free hair loss solutions that work in line with the natural hair growth cycle. Hair vitamins are also good to prevent thinning hair due to temporary hair loss due to post-pregnancy, menopause, poor diet or vitamin deficiency, or damage from over-styling and heat-styling. Hair growth supplements nourish thinning hair with vitamins, minerals and marine extracts derived from key marine proteins. 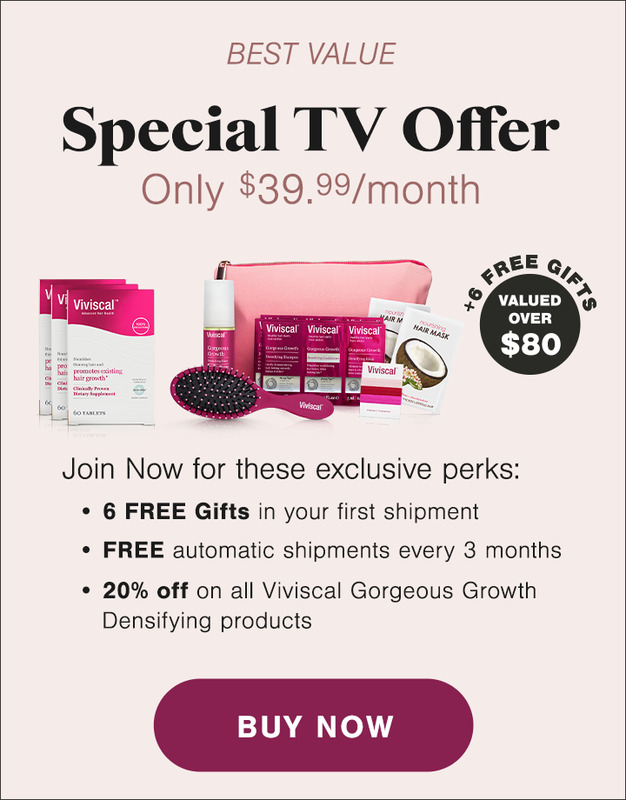 When searching for hair regrowth treatments, solutions range from hair transplant surgery, to topical drugs like Women’s Rogaine minoxidil, to drug free hair growth vitamin supplements like Viviscal Extra Strength. Hair transplant surgery has long-term results but it is invasive and expensive. Topical minoxidil treatments regrow hair in most women. However, once women begin taking minoxidil for alopecia or other types of hair loss, they cannot stop taking it or their hair loss will come back. Dietary supplements for hair loss promote existing hair growth from within, and suddenly stopping hair growth supplements will not immediately result in more hair loss. Hair growth supplements work in line with your natural hair growth cycle, which is why they may take 3-6 months to produce results. If you are looking for a drug free treatment that works by supplying hair follicles with a blend of vitamins, minerals and marine extracts, hair supplements a good choice.